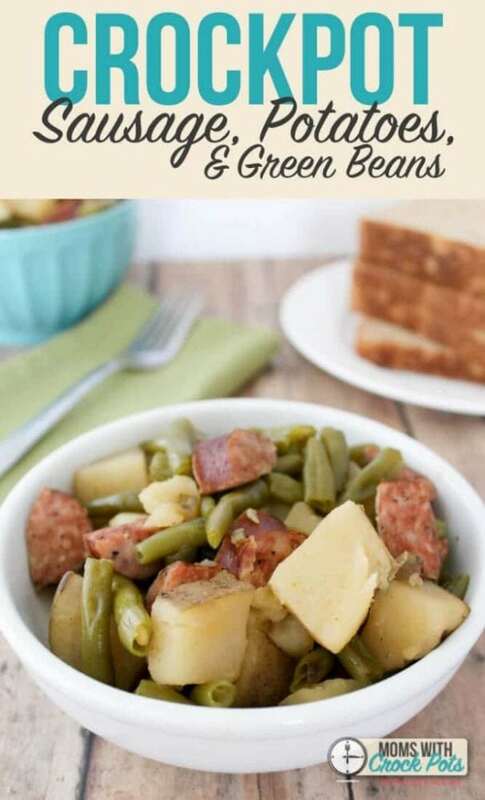 I love all in one crockpot meals! I am sure you do too! It’s so easy to be able to dump everything you need for supper in the crockpot and let it do it’s thing while you are busy tackling life. 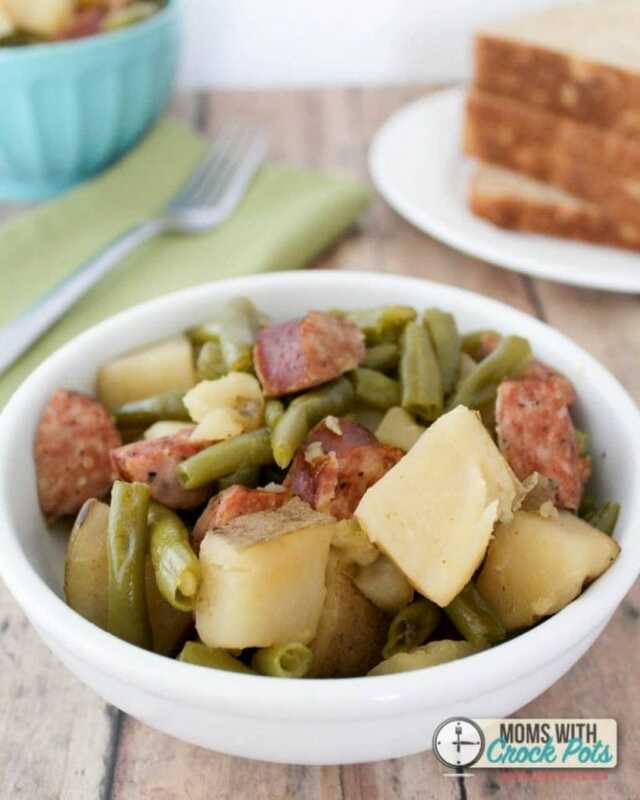 That is why this Crockpot Sausage, Potatoes, & Green Beans is such a great recipe to have on hand. This is just a chop and dump kinda meal! In fact, you could chop everything and put it in a large freezer bag and put it in the freezer. Then when you are ready you can just dump the frozen ingredients in the crockpot and let them do their thing. SO SO Simple! Wash and cut potatoes into small cubes. I choose not to peel the potatoes however you can if you prefer. Pour in a cup to a cup and a half of chicken stock and season to taste with the seasoned salt. 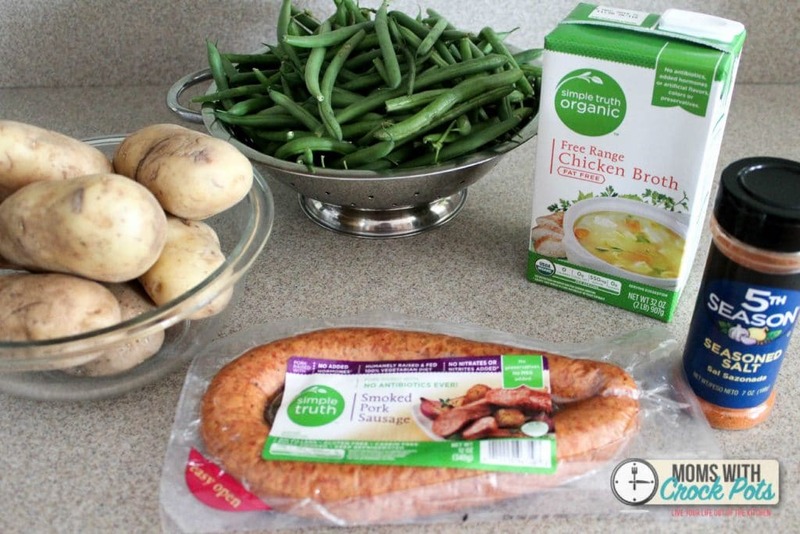 Make sure you are using a gluten free sausage and broth. Tried this today and it was amazing! I used turkey sausage and red potatoes because that’s what I had on hand! After trying it, I immediately called my sister and shared the recipe with her! Thanks!